BOSTON — The family behind OxyContin raked in billions of dollars as it pushed to keep patients on the powerful painkiller longer despite evidence that the drug was helping to fuel the nation’s deadly opioid crisis, Massachusetts authorities allege in newly public court documents. Attorney General Maura Healey is suing Connecticut-based Purdue Pharma, along with some company executives and members of the wealthy Sackler family, in an effort to hold them accountable for the toll of the state’s drug crisis. Massachusetts’ is the first state case to personally name members of the Sackler clan, whose name is emblazoned on walls at some of the world’s great museums and universities. The lawsuit details tactics that the state says Purdue and the Sacklers used to keep patients on the drugs longer and get more patients taking higher doses. “If it reduces abuse and diversion of opioids then it seems like something we should be doing,” the employee wrote in an email. The executive rejected the employee’s suggestion, and the secret list of the suspected illegal prescribers, known as “Region Zero,” continued to be kept, lawyers say in the complaint. The lawsuit, filed in state court, also details tactics that the state says Purdue and the Sacklers used to keep patients on the drugs longer and get more patients taking higher doses — even as that made them more prone to addiction. Meanwhile, the Sacklers paid themselves more than $4 billion from 2007 through last year, according to the lawsuit. In 2014 and 2015, Purdue considered selling suboxone, a drug used to treat addiction, the lawsuit says. “It is an attractive market,” an internal memo read, according to the suit. The company later explored selling naloxone — known by its brand name Narcan — which reverses overdoses, the state’s lawyers contend. A presentation made to the board in 2016 said that Narcan could bring in $24 million in sales to Purdue through 2025, the complaint says. “Purdue’s analysis of the market for Narcan confirmed that they saw the opioid epidemic as a money-making opportunity and that the Sacklers understood — in private, when no one was watching — how Purdue’s opioids put patients at risk,” attorneys for Massachusetts wrote. 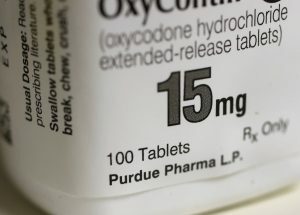 “Massachusetts seeks to publicly vilify Purdue, its executives, employees and directors while unfairly undermining the important work we have taken to address the opioid addiction crisis,” the company said in an email. Jonathan Novak, a Dallas lawyer who is representing several governments, including the state of Utah and the city of Albuquerque, in lawsuits against the drug industry, said the Massachusetts lawsuit could provide a roadmap of documents for other plaintiffs. Novak said the state’s approach is important to the telling of the opioid crisis story.